On Monday 5 November, Corsica Ferries was the first company to present its candidature to the OTC (Office des Transports Corse). Although not a complete surprise, it is now confirmed that Corsica Linea and La Mériodionale will both compete separately, after having been allies for many years. The contract is for the ferry services between Marseille and five Corsican ports. The (difficult) decision will have to be taken before summer 2019. The new DSP starts on 1 October 2019 and lasts only until 31 December 2019. The relatively short period has to be seen as a test period, before switching to DSP’s of ten years. La Mériodionale only has a fleet of three ro-pax ferries, but could have enough ships by adding chartered tonnage. 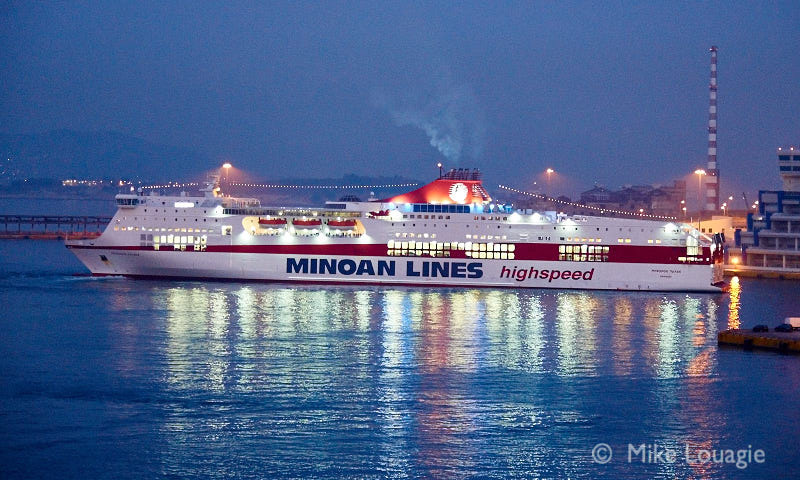 Minoan Lines have informed their passengers that from now on until 20 December, some routes will see some alterations, however with a minimum impact. The reason is the installation of scrubbers. From Friday 21 December, the cruise ferries KNOSSOS PALACE, FESTOS PALACE and MYKONOS PALACE will return to their scheduled itineraries. KNOSSOS PALACE is actually in Perama, as first vessel to undergo the installation. 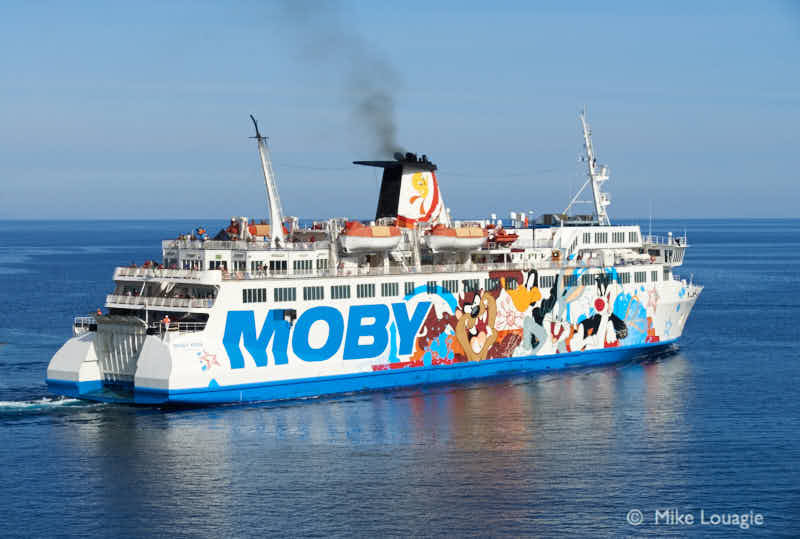 As from next June, Moby Lines will offer a new maritime route for passengers and cars linking the ports of Piombino with Bastia, thus competing with Corsica Sardinia Ferries. 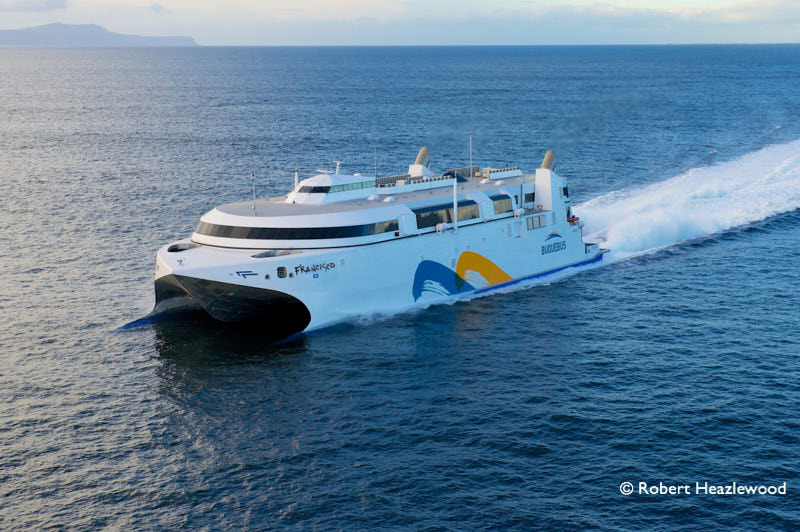 According to what is reported on Moby’s website, the new maritime service will be operated from 14 June to 29 September 2019. The daily trip is expected to last 3,5h (day) or 7,5h (night). The vessel likely to be deployed is MOBY KISS. 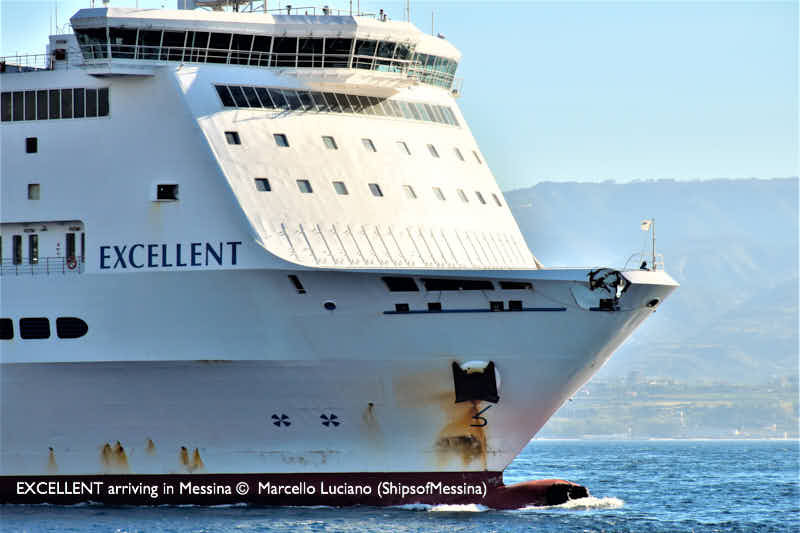 The ferry EXCELLENT, owned and operated by Grandi Navi Veloci, has reached the port of Messina this week for some repairs due to be performed by Palumbo shipyard. The vessel collided with the quay and a gantry crane in the port of Barcelona on 31 October. The crane capsized and took fire. GNV said in a statement that extreme strong winds and sea currents prevented the ship from docking, eventually pushing it against the port’s crane. The impact damaged the bulbous bow. 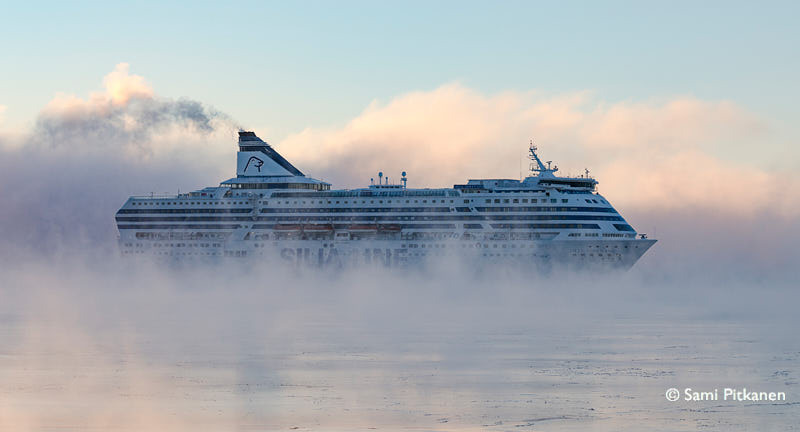 The modernisation of Silja Line’s ships continues when SILJA SERENADE, operating on Helsinki-Stockholm route, will be docked in Naantali from 11 to 23 November. Which are the areas which will be changed drastically? The nearly 1,500 m2 nightclub Atlantis Palace. Will be renamed Starlight. The fine dining restaurant Bon Vivant and its wine bar. The restaurant El Capitan. Will be renamed Grill House. The ship’s Old Port Pub will become more spacious. To be renamed Sea Pub. Fitting of shore power supply. The sister ship SILJA SYMPHONY will undergo a similar modernisation in January. Interior architect: Heikki Mattila (Aprocos). Chinese Weidong Ferry handed over the ro-pax ferry NEW GOLDEN BRIDGE II to Greek A-Ship Management (Arkoumanis). 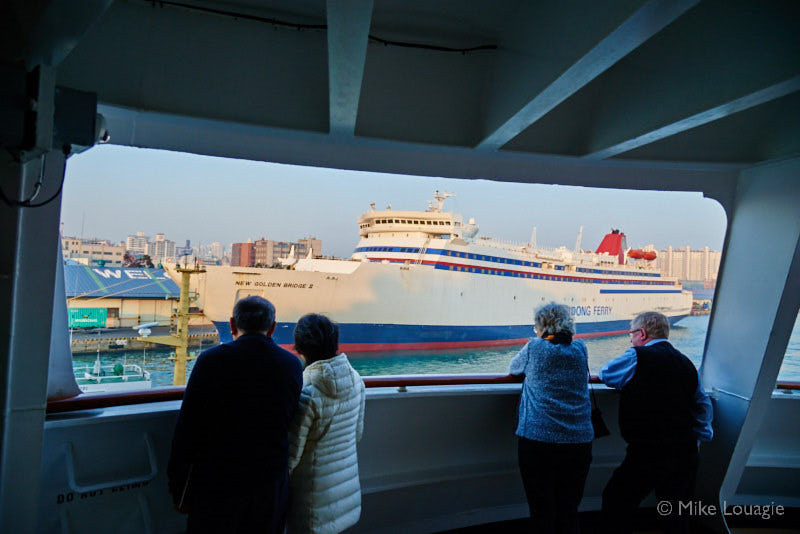 On 5 November the ferry was seen south of Hong Kong and was already renamed GOLDEN BRIDGE and reflagged to Cyprus. She was reported to be Perama bound. With a gross tonnage of more than 26,000 and a length of 187m this ferry is quite large. She was built in Japan in 1990, and recently operated between China and South Korea. Finnlines doesn’t stop to impress by its excellent results. 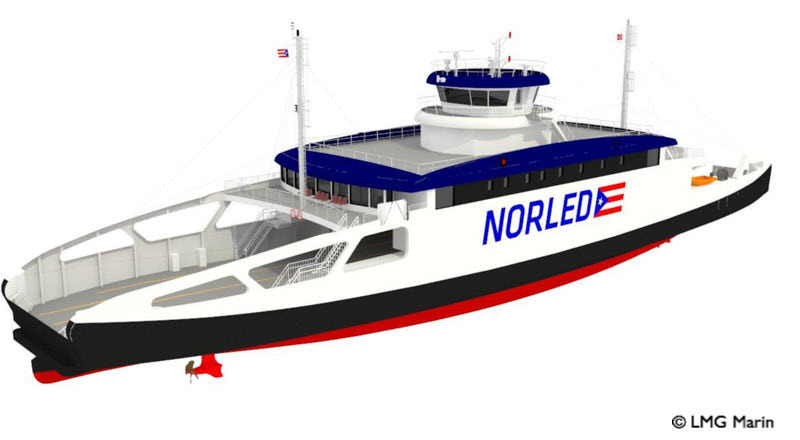 The Grimaldi Group has three modern and green ro-ro vessels on order, which will add up another 17,500 lane metres to their Finnlines services. They are expected to enter service in three to four years time. Tallink Grupp has announced its unaudited financial results for Q3 and first nine months of 2018.
decreased charter revenues two Superfast ferries have led to the slightly reduced profit compared to the same period in 2017. Largest number of passengers on the Estonia-Finland routes. The greatest increases in both passengers and cargo units transported, has taken place on the Latvia-Sweden route.